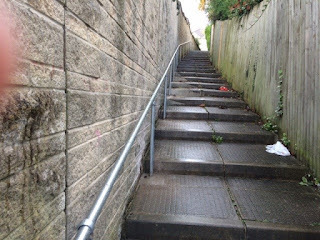 Following complaints from residents when we called round on Elliston Drive about the steps down the footpath and their slippiness in wet weather we asked the Council to install a handrail. This was done very speedily. Thank you.